"It was an October morning in 2006. I was staying at a friend's place in Lahore, and finishing my breakfast before going to the office of Iqbal Academy Pakistan with whom I work as research consultant. Suddenly, an idea flashed across my mind: I don't know how or why. 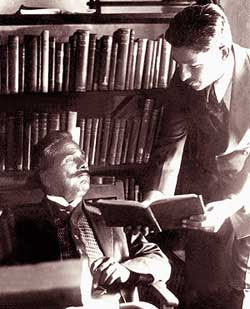 It struck me that there were seven lectures in the Reconstruction, Iqbal's philosophical work in English prose. Incidentally, there were seven stations through which Iqbal passed in his journey across the spiritual universe in Javidnama, his greatest poetical masterpiece. Do the two sets match?" Read complete paper: 'New Discoveries about The Reconstruction of Religious Thought in Islam'.